What is the difference between keywords & latent terms? Everybody knows that before you jump on a new site and start writing, you should do some keyword research. Once you got your list of keywords, you should start filtering, grouping and sorting that keyword dump into a manageable list that you can use to kick start your content marketing strategy. For a long time, Article Insights, would call its own list of article terms “keywords” and this was a source of confusion as the list you see in Article Insights is a lot more than just “keywords”. The easiest way to grasp the difference between keywords and latent terms is to see it demonstrated in a concrete example. Take for example the video game “red alert 3”. Taking Google Keyword Planner as the go to keyword tool, here is the typical output when you sort the resulting keywords by relevance. Compare this to the list in Article Insights. If you read the list from the Google Keyword Tool you get a lot of good related and long tail keywords. 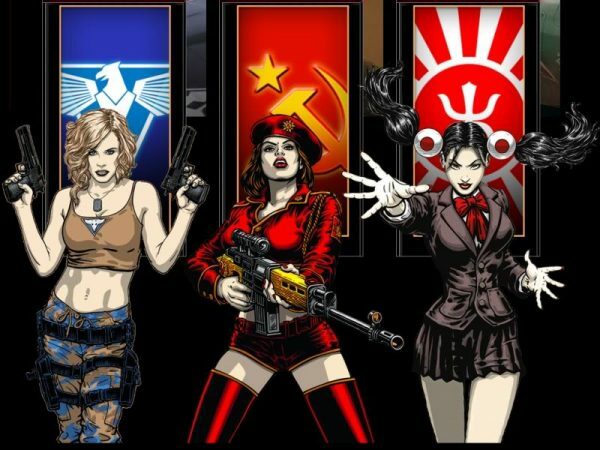 However, if you wanted to write an informative and researched article on the game “red alert 3”, just having that list from Google would not tell you anything about what that game is about and where to start. Compare that to the list from Article Insights. There is a good chance if you are reading this that you may have never played the game “Red Alert 3” before. And you would be completely right. Each of the above is actually a specific faction in the game. In fact, those 3 words are not cherry picked from a long list of terms. You don’t need prior knowledge of their meaning as they appear from left to right within the first 10 words. Yes, the ordering is important as Article Insights is laying our article terms from most important to least important automatically for us. Lets look at that term list again. If you read each word from top left to bottom right, you actually have a very good description of what “red alert 3” is. Imagine you had to describe to what an “iphone 6” is. The only catch is, the person has never seen one before and you had to do it with simple word combinations and within a 25 word limit. What words would you choose? Would the words include most of what appears in the terms list above from Article Insights? Would describe exactly what an iphone 6 is in a very succinct manner. Incidentally, that friend of yours who could only understand single terms is exactly how a search engine like Google understands your content. Having a list of “long tail” or “related keywords” from a tool like Google Keyword Planner and other derivative tools gives you just that… related keywords. It doesn’t show you the important hidden ie latent terms that Google is expecting to appear in your article. Google has a map of related terms that it maps to a user query, the more terms your article has the more likely Google will consider your article as “relevant” to a user’s search query. 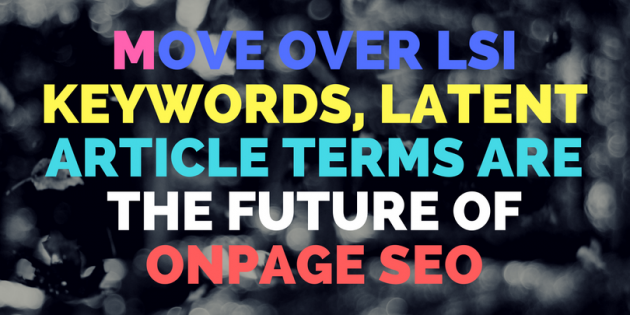 Article Insights Latent Terms <Is Not> just another keyword list.